Much of the business of the Council is delegated to 3 main Committees. As a Quality Council, Dunstable Town Council is required to hold 6 meetings of full Council during the year (including the Annual Council Meeting) with the requisite cycle of Committee meetings reporting thereto. 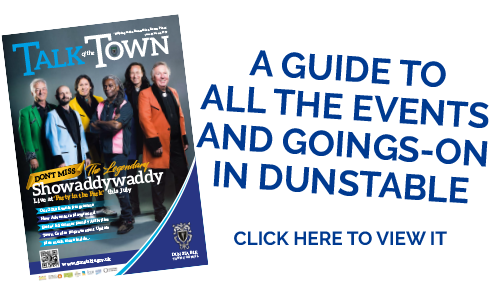 In accordance with the Local Government Act 1972, the Town Council is required to call a meeting of all electors of the Parish of Dunstable between 1st March and 1st June – the Town Meeting. The Town Mayor presides at this meeting (or in his/her absence, the Deputy Town Mayor). All meetings, other than the Annual Meeting and Town Meeting, are held at Grove House, 76 High Street North, Dunstable and all are open to the public. Copies of the agendas for all meetings are available for inspection 3 days beforehand at Grove House. They can also be viewed using the menu below. Further information on the Council’s Committees and responsibilities is included within the Council’s Constitution, Standing Orders and Delegations to Committees and Officers, a copy of which can be downloaded below. All meetings are held at the Council Chamber, Grove House and at the start time of 7.00 pm unless otherwise stated. The full calendar of meetings for the year can be downloaded below.